The 1968 Mustang fastback continued the refinement of the newly updated body style from the previous year. 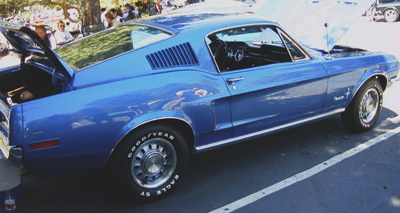 This would also be the last year that the Fastback Mustang, name would grace the description or specifications of the famous Ford pony car for many years, although the body style would remain in production. 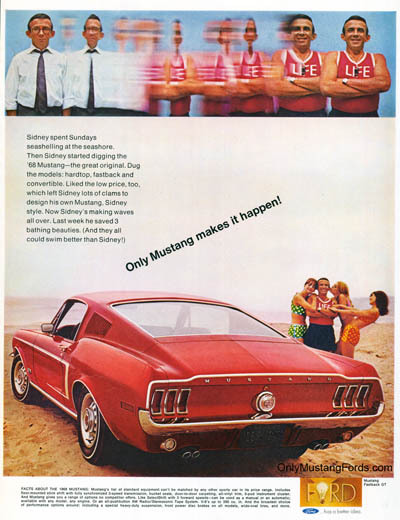 Adorning the front grill of the new pony cars, was a new floating style horse and corral Ford Mustang logo. Some of the major exterior and interior changes would be as a result of the new and stiffer safety regulations imposed by the US government. Ford was marketing the 68 model on it's new lower base price and what it's muscular good looks could do to improve a guy's love life ! 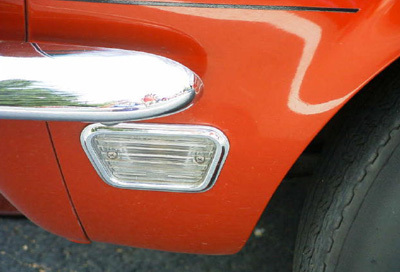 The addition of new front and rear side marker lights, make for one of the simplest ways to differentiate the 1967 and 1968 Mustang fastback, along with the ornamental "Mustang" letters, which changed to script from the usual block letters on the front fender sides, just ahead of the front edge of the doors. 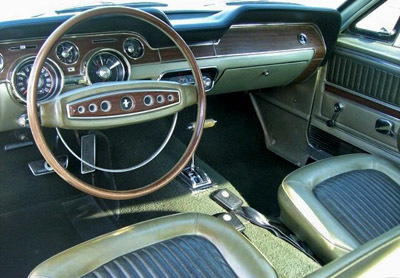 The 1968 model year also brought the addition of the new, and some would say ugly addition of the "safety steering wheel", with it's little foam donut, which was somehow going to save your head if you were in a collision. Seat backs now had retainers, to prevent them from flopping forward and the rearview mirror became attached directly to the windshield, instead of screwed onto the top inside windshield header. And in the fastback nodels, the still popular, fold down rear seat option was available for a much lower price, than you could find a completely trashed one now. Like the 1968 coupes and convertible cars, the fastback models were available with a huge choice of Ford six and V8 engines. For the fuel economy minded, or those scared of going fast, the venerable 200 cubic inch inline six cylinder was available in either a 3 speed standard or 3 speed c4 automatic transmission. The base v8 engine, was a 289 cubic inch motor, equipped with a single 2 barrel Motorcraft carburetor, producing a respectable for it's time, 195 horsepower. New engines for 1968, included a 302 cubic inch V8, with a 2 barrel that made 220 horsepower, a 4 barrel version of the 302, producing 230 horsepower and two "big block" V8 engines, designed specifically to go to war and win against the big Chevy and Dodge big blocks. 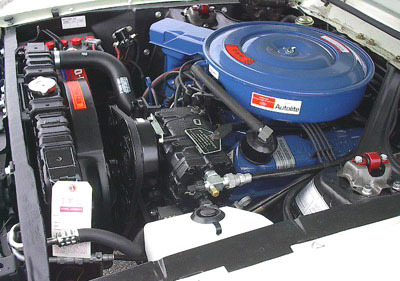 The first of these motors, was a 4 barrel version of Ford's tried and true, 390 cubic inch V8, producing a solid 325 horsepower and gobs of stump pulling torque, and what was soon to become one of Ford's legendary engines, the 428 CobraJet, which due to federal safety and insurance issues, rated at a conservative 335 horsepower. Ford produced several very special fastback only versions, including the 428 Cobra Jet equipped cars, as well as the Shelby GT350, GT500 and the famous 1968 GT500KR Mustang King of the Road.